Moon Day Yesterday or on any dates you are interested. What is the Moon Day Yesterday - phase, illumination, visibility, moonrise, moonset, zodiac sign and the house of horoscope, growing or waning Moon you can see on this page, and even lunar days for the whole month in April 2019 Moon Calendar. Everything about Moon Day Yesterday or on any other date. At the date 21.04.2019 at 12:00 UTC-5 (NYC) Moon in phase «Waning Gibbous». This is 17 Moon day in lunar calendar. Moon in Scorpio, Moon in 19 house. Moon illumination about 96.2%. MoonRise: 21:19, а MoonSet: 6:46. Organizing connections a day of fun and fellowship. The day provides an opportunity to correct the internal structural relationships, implement personnel changes. 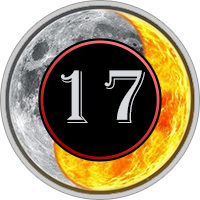 The seventeenth lunar day - the day of communication, joy and all social events, meetings and conversations. Energy of the day contributes to any sexual relationships. But let’s not "lose his mind", or fun can escalate into a riot. Day of the week - Sunday, the day walking under the Sun, because it is riddled with its fun, invigorating energy and tells people the good effect. It has long Sunday is reserved for recreation, for work not of the body but of the spirit. And people are happy to talk to each other, there to spend time in conversations, games, pleasures. This is the day of Sunday walks, going to the guests at the call of the soul, which straightened after a week of fatigue and labor, washing friendly participation and unity. Sunday - for easy, not hard work.